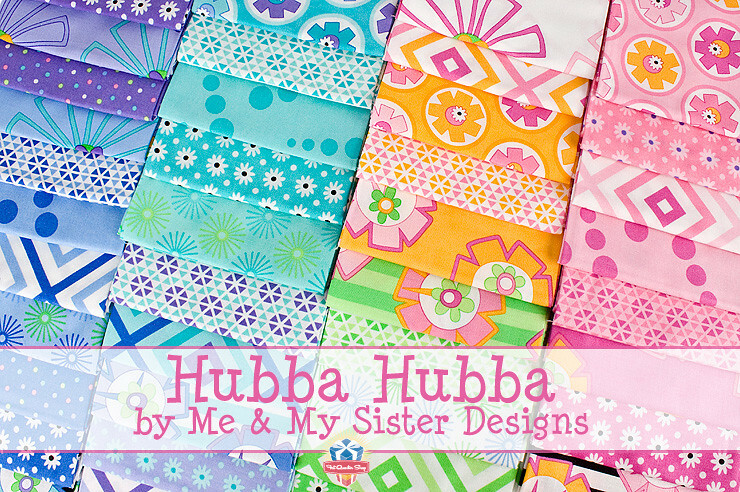 The fun and funky ladies of Me & My Sister Designs are here today to tell you more about Hubba Hubba. These bright, punchy colors will have you feeling energetic and bubbly, much like this design duo. Keep reading for a closer look at the collection and head to the Me & My Sister blog for a giveaway! Hi Jabberettes! We have been kindly invited to stop by today and tell you all about our newest fabric collection for Moda called “Hubba Hubba”. 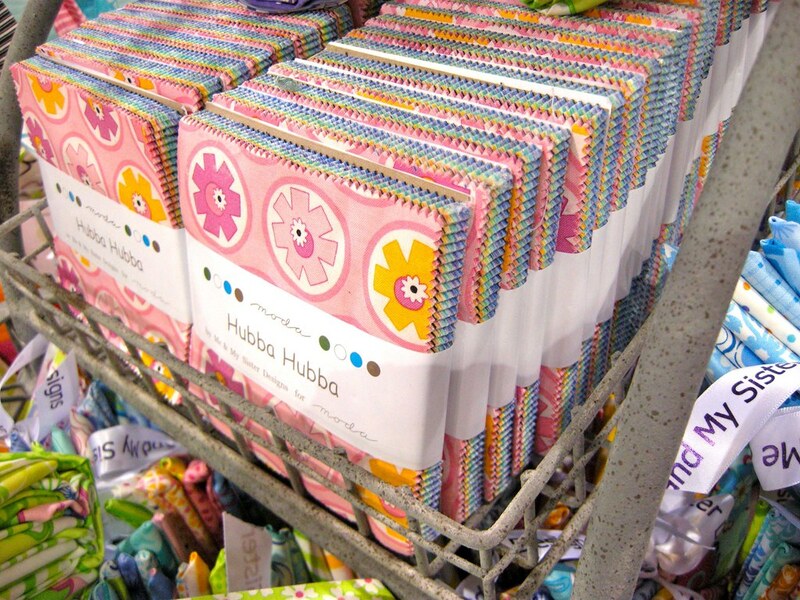 Now when you say “Hubba Hubba” you have to say it the right way. Remember that old Steve Martin movie called Parenthood when he asked his 8 year old son “What do we say when a cute girl walks by?" “Hubba Hubba” of course! And they all come together with a splash of color! Many of our groups begin with a color palette. It’s fun to work the different colors into prints. We have 3 new projects made from Hubba. I have to admit I like them all and Mary did a great job designing them. 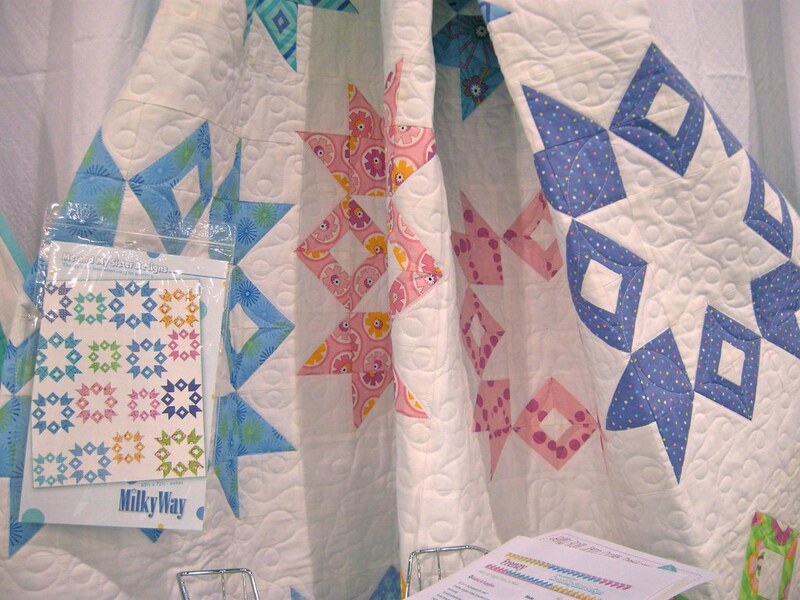 Mary designs all our patterns. I think my favorite would have to be Milky Way. But I love Twinkle Twinkle and Let Them Eat Cupcakes too! 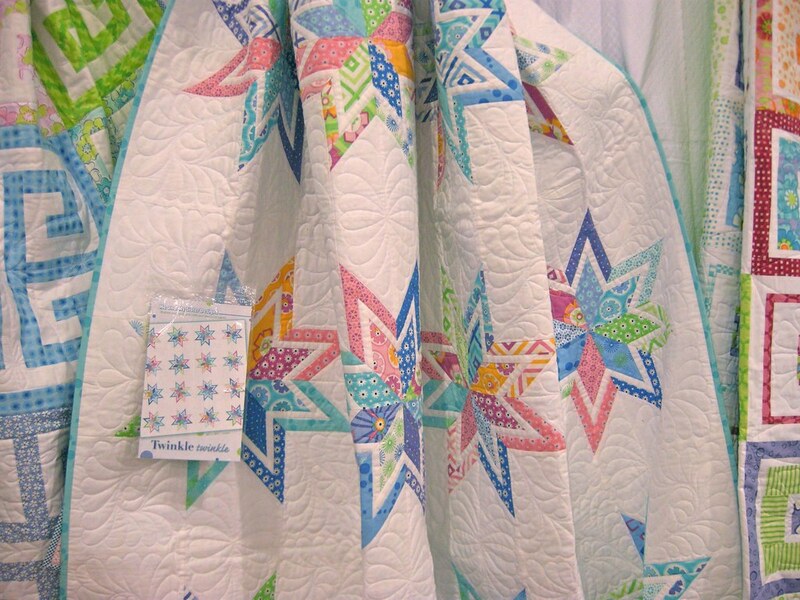 Mary is making another Twinkle Twinkle quilt for her private collection with fabrics representing all of our fabric lines. I have tried to talk her into making 2 while she’s at it, but sisterly love only goes so far I guess! 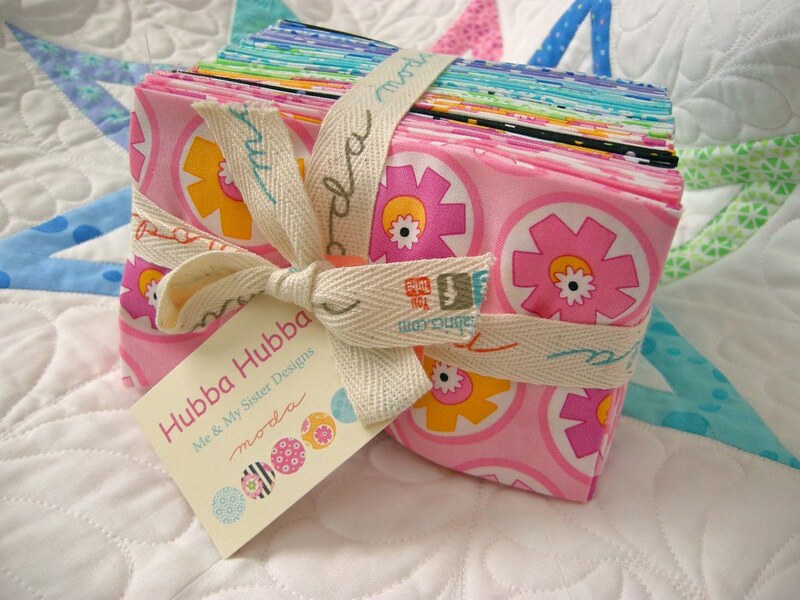 I hope you enjoy making something with Hubba Huuba as much as we enjoyed bringing it to you! Hop on over to our blog today for a chance to win this fat eighth bundle. 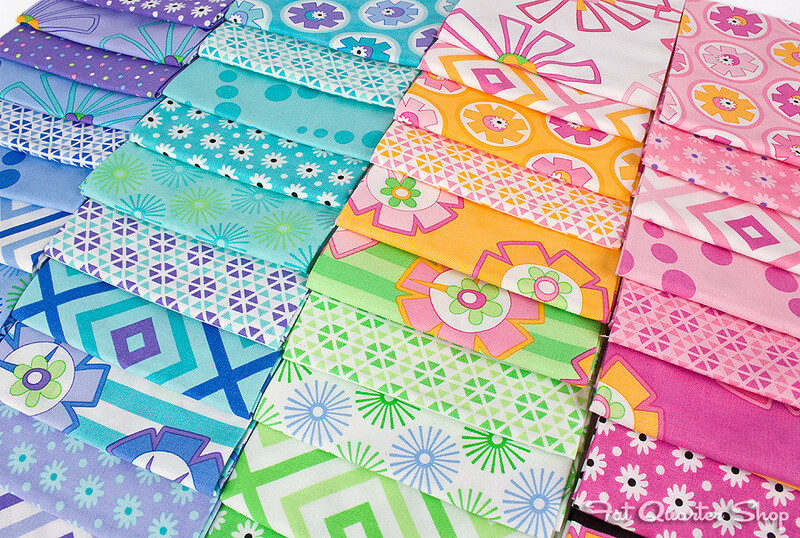 What do you say when you see a cute quilt made out of this group?